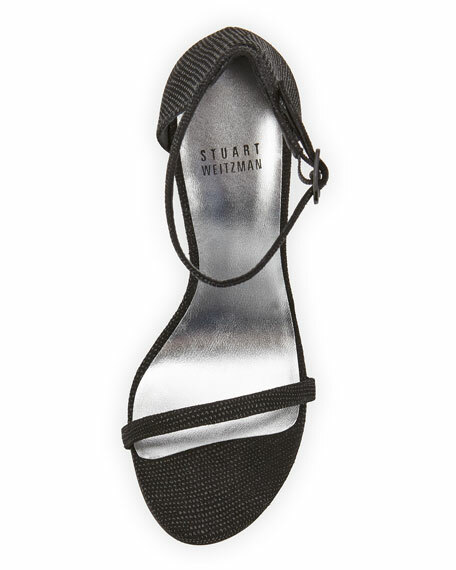 Stuart Weitzman d'Orsay sandal in signature goosebump napa leather. "Nudist" is made in Spain. For in-store inquiries, use sku #1936065.